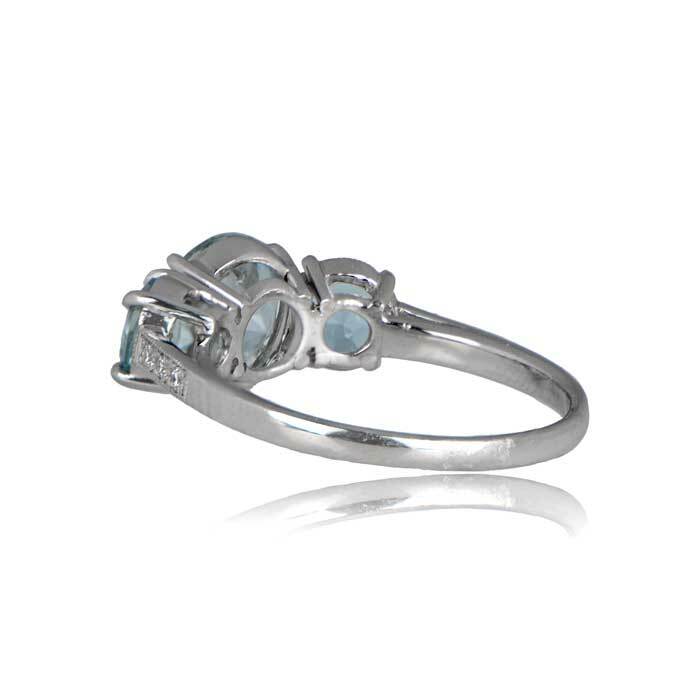 The Gateshead Ring features three beautiful aquamarines in a platinum mounting. 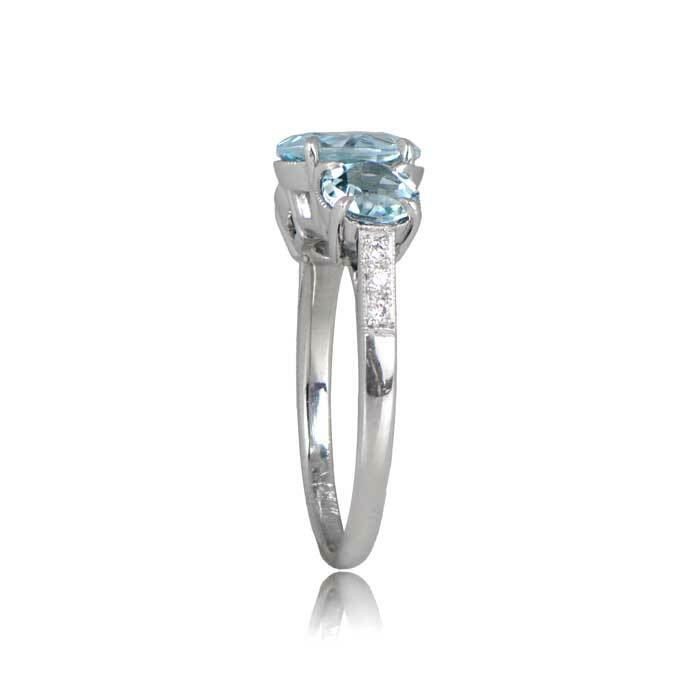 Diamonds adorn the shoulders and a lovely open gallery showcases the stones. 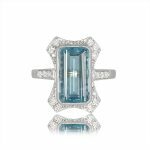 The center aquamarine has a weight of 2.12 carats and is very lively. 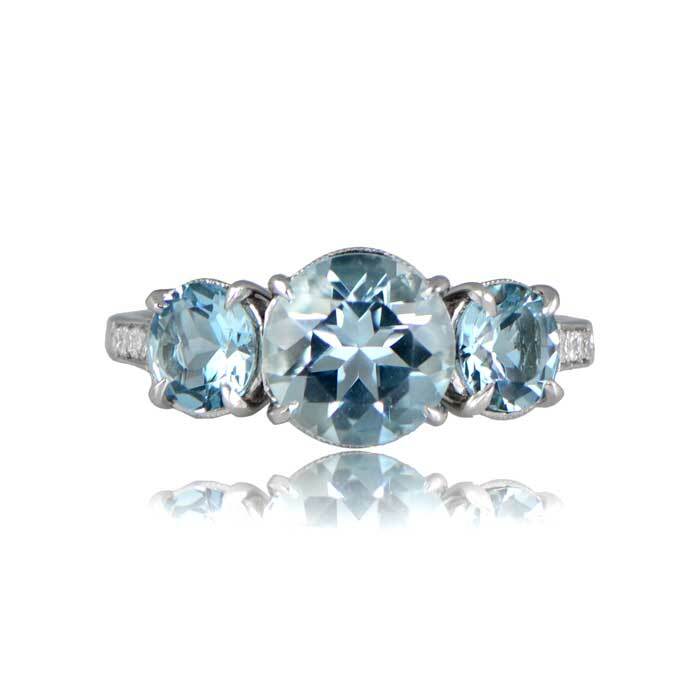 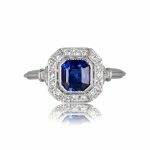 SKU: 11942 Categories: Aquamarine Engagement Rings, Vintage Cocktail Rings - Contact us and request additional pictures.